The archeological season came to an end in Greece. The Ministry of Culture is summarizing the results which have turned out to be brilliant. The most important result is the completion of the excavation of Tenea. This ancient city is a true legend. First, it was a state and a city at the same time (like many Greek cities of that time, and secondly, Tenea was directly involved in the destruction of one of the centers of Mycenaean culture – the city of Mycenae. Tenea was located in the northeast of the Peloponnese and was part of the Peloponnesian Union. The city-state existed long before the advent of our era. According to historians, in this part of the Balkan Peninsula, there lived prisoners of war that had moved from Troy. The king of Mycenae allowed them to build their own city, which became a kind of state in the state. It was a usual thing in Greece of that period. The city existed until the VI century AD. The Slavs are blamed in its destruction. This is confirmed by historical documents that indicate that after the struggle with the Eastern tribes, the most ancient state fell into decay. The local troops could not repel the attack of the Slavs, because they did not have time to regain their strength and defense capabilities after the attack was ready. The excavations of the ancient city-state were led by Elena Korka. Historians have been looking for the location of Tenea for quite a long time, and only now they have managed to find traces of it in the southern part of the Balkan Peninsula. The place where excavations have been carried out now was first taken under observation in 2013. Then the scientists managed to find here several structures of that period. After that, archaeologists and historians decided to continue work in the north-eastern part of the Peloponnese. This archaeological season brought a lot of finds. First, the researchers managed to find an ancient cemetery, which tombs were built dating back to the Hellenistic period. In addition, burials made in the era of the Roman Empire were discovered on the territory of the cemetery. In the graves, archaeologists have found the remains of ancient people – nine adults and two children. Another positive result of the excavations on the Peloponnese is the discovery of a huge number of artifacts that are important for the history. For example, it was found about two hundred gold coins, as well as jewelry. The detected banknotes are dated to the II-III centuries BC. But among them come across coins that were issued earlier. Also, archaeologists were able to unearth the remains of buildings where the people of Tenea lived. Another interesting find is the ceramic fragments that have come down to us from about the 4th century BC. In any case, as archeologists say, such ceramics were used exclusively until the late Roman period. 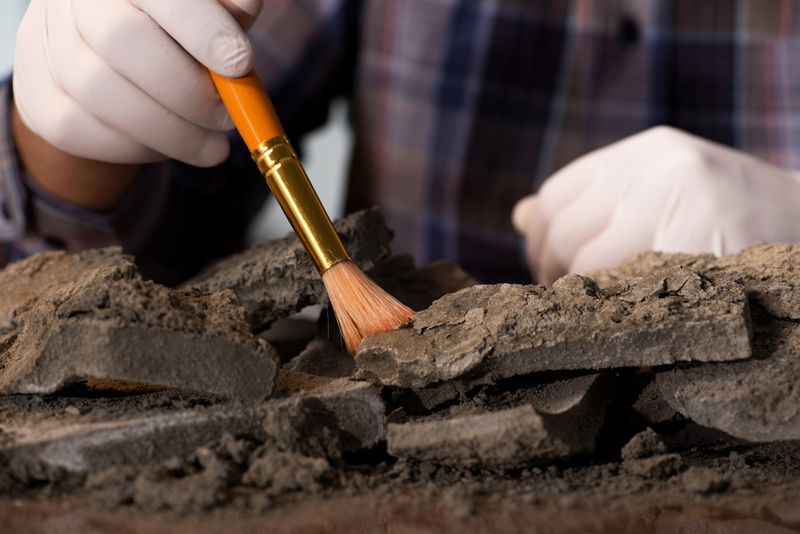 Now scientists conduct a thorough census of all artifacts found.